The majority of internet activity today starts with a simple search. Consumers utilize search engines to gather research and gain information about a product or service before they take the plunge and make a transaction. Because of this, it is crucial to the success of your business to make sure your website is optimized to aid in it's discovery by potential customers. This, however, takes time. And as most business owners know, there is never enough time in the day to get everything that you want accomplished done. The average business owner would rather spend his or her time managing day-to-day business operations instead of trying to figure out complex internet marketing techniques, search engine optimization strategies, or learning about algorithms and studying website analytics. 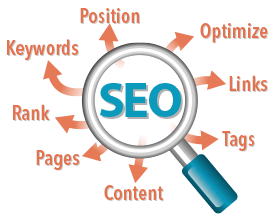 For this reason, most business owners turn to SEO specialists who understand both search engines and their sophisticated algorithms. You could end up paying thousands of dollars for expert optimization services, but if the team that you hire doesn't understand the basics of on-page SEO, your chances of securing top spots for competitive key phrases are slim to none. You don't have to exceed your budget to receive quality SEO services. Spending too much and going way over budget may not get you the results that you are looking for. Get SEO right and you'll succeed on the search engines. Get it wrong and you will never make it to the top, no matter what other campaign or technique is applied. So before paying anything or signing a contract, you need to make sure that you work with an SEO company like the SEO Management Team who knows what they’re doing and also has your best interest in mind. How Can SEO Grow Your Business in San Diego? So why do you need SEO for your business? What does SEO really have to offer and how does the Internet impact the growth of your business? Search engines like Google, Yahoo and Bing are used by millions of people on a daily basis to find information, new products to buy, solutions to their problems and anything else you can imagine. I’m sure there have been many times when someone asks you a question that you don't know the answer to and you've suggested that they "Google it." All these daily searches create a huge market open to businesses who compete online. If you have a website, your goal is to have as many visitors as possible and be given the opportunity to turn them into loyal customers. The objective is simple; to position your website in one of the top five positions of the search engines results pages so that when people search for keywords related to your business, they can find you easily and way above the competition. According to research studies, the top 5 positions are most likely to be picked by the majority of people (more than 70%) with the first, second and third positions to gain the biggest share. Due to unscrupulous SEO companies and sales people that just want to make a buck, people have been misinformed as to what can really be accomplished with an effective search optimization campaign. We don't guarantee that miracles will happen, especially since SEO is not an exact science and the outcome cannot really be predicted. However, the visibility of your website can be greatly improved, which, in turn, increases your chances of being found online. Be careful with who you turn to for SEO services. Keep in mind that an SEO company can't produce high rankings just by offering directory submissions and poorly-written articles that don't even come from legitimate sources. What, in reality, can SEO do for you? 2) It will provide for a great user experience since SEO is also about building high-quality websites. SEO must be done within your website so that search engines can better understand what it is you are trying to promote in their index. It is how you can promote your business online so that search engines are convinced that your website deserves one of the top places in their search results. This, in turn, can attract more visitors from search engine results pages.